From April 11-14, thousands of Houstonians ventured “behind the hedges” for the UnConvention, a campuswide open house celebrating a century of unconventional wisdom. Visitors could not have been at a loss for things to do, people to see or turkey legs to eat. 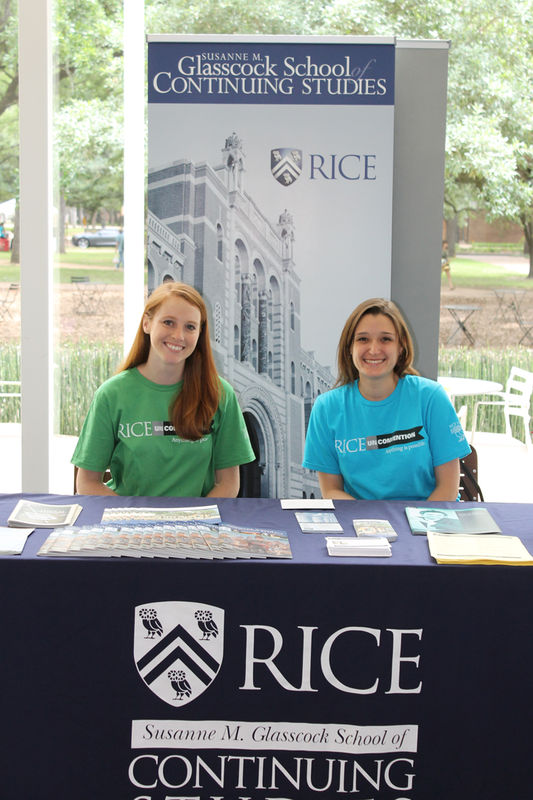 Rice warmly welcomed visitors with tours, demonstrations, concerts, lectures, athletic events, art exhibits and more. This unique event, which lined up perfectly with the Glasscock School’s commitment to educational outreach, allowed us to engage the community and give away several free courses. The winning photographs from our recent photo contest, “Celebrate Rice,” also garnered some oohs and ahhs in the Rice Memorial Center where they were on display. We’re soaking up all of these events leading up to the Centennial Celebration in October and hope you are, too! This entry was posted in Continuing Studies History, General. Bookmark the permalink.